Society for Healthcare Volunteer Leaders - Ruby Conference Sponsor - Thats You in 2019! Ruby Conference Sponsor - Thats You in 2019! 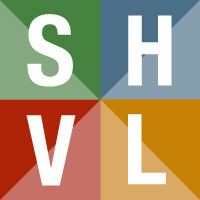 YOUR Company name and logo appear on Home Page AND Conference Section of the SHVL website as as 2019 RUBY Sponsor. o Included on daily attendee schedules. Five invitations (for 10 people) and opportunity for a representative to speak briefly at the Luncheon Event. Five Vendor Show Booths (additional purchase option available). Four invitations (8 attendees) to the Closing Gala. Booth will be identified as a RUBY Sponsor.